Our wire shelving posts are available in heights that range from 6" tall to 96" tall. 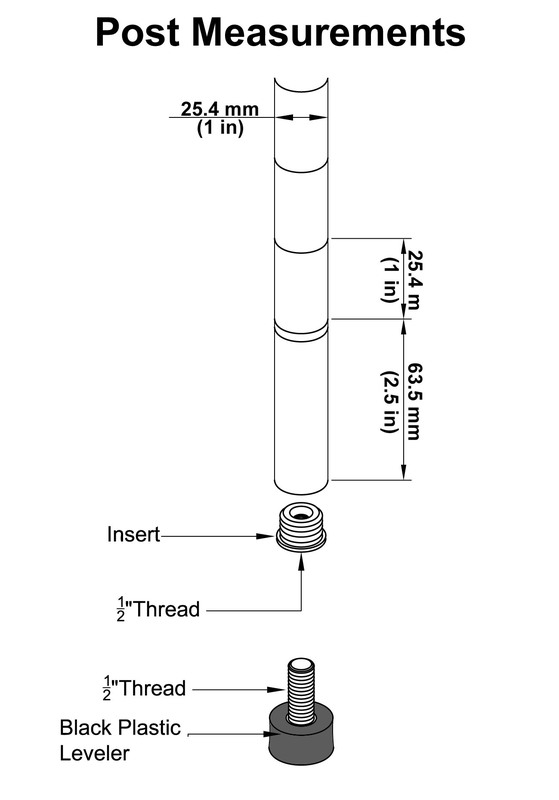 We offer extension kits that can support posts up to 144"h, as well as custom cutting services for anything in between. Since it would be impractical to offer all of our kits in all of these sizes, we've pared down the options to the most common heights. Determining the appropriate shelving height that fits your space and satisfies your storage needs is essential to maximizing your space. To help you do that more easily, we've created the visual above. The height of the man in the image 6 feet tall (72"). You may notice that he appears to be slightly smaller than the unit labeled 72"h. That is because each post includes a leveling foot that can be adjusted to increase the stability of your unit, which adds to the overall height of that unit. Keep in mind that each shelf can adjust up or down in 1" increments to further customize your storage, so the relative height of each wire shelf is up to you. This series of images is meant to provide you with an idea of which size of wire shelving would be best for your storage project. To further give you an idea of scale, the units in the image all feature 18"d x 36"w wire shelves. 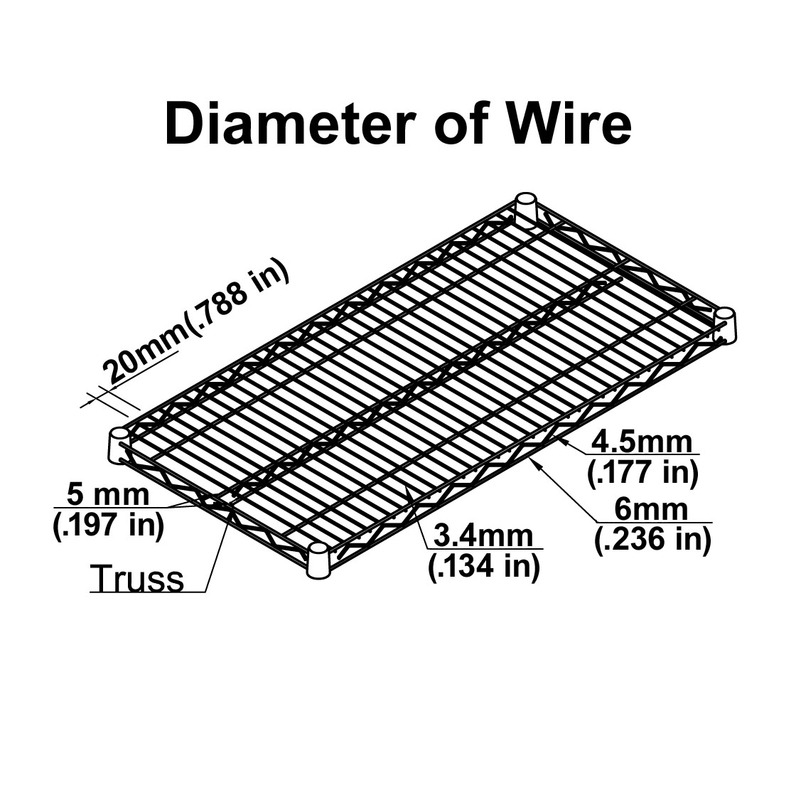 Our wire shelves range from 8"d to 36"d and can be as wide as 72". Typical applications are for better organization around the home and inventory storage or merchandise display in commercial spaces. It is our recommendation that you select the depth, width, and height that fits your space and makes sense for the items you are attempting to store. For example, a 12"d x 30"w x 54"h unit might be great for displaying sports collectibles in your living room while a 36"d x 60"w x 84"h shelving unit would be better suited to stocking inventory in a warehouse. Essentially, shorter heights should be used for storage that is accessed frequently while taller heights are for items that are used rarely (holiday decorations or slow moving products). Remember each shelf can hold up to 800 lbs per shelf (evenly distributed), so we recommend wire shelving for medium to heavy duty storage.